Feathered Raptors Too Scary for “Jurassic World”? Despite plentiful evidence of raptors and other dinos having feathers, the makers of the upcoming latest installment of the Jurassic Park saga have chosen to keep them nekkid. 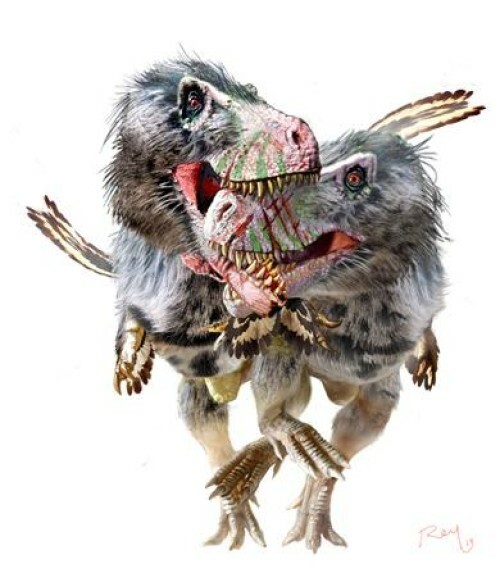 I guess they lack the imagination to see tyrannosaurines with feathers as scary enough. I believe this cool illustration by Luis Rey from a Science Daily article makes them every bit as terrifying as the scaly images of the past.